This suite has a living room as well as the standard room amenities. Complete with classical decor and a private balcony offering a partial ocean view, this guestroom is an ideal place to relax, unwind, and enjoy the fresh ocean breeze. 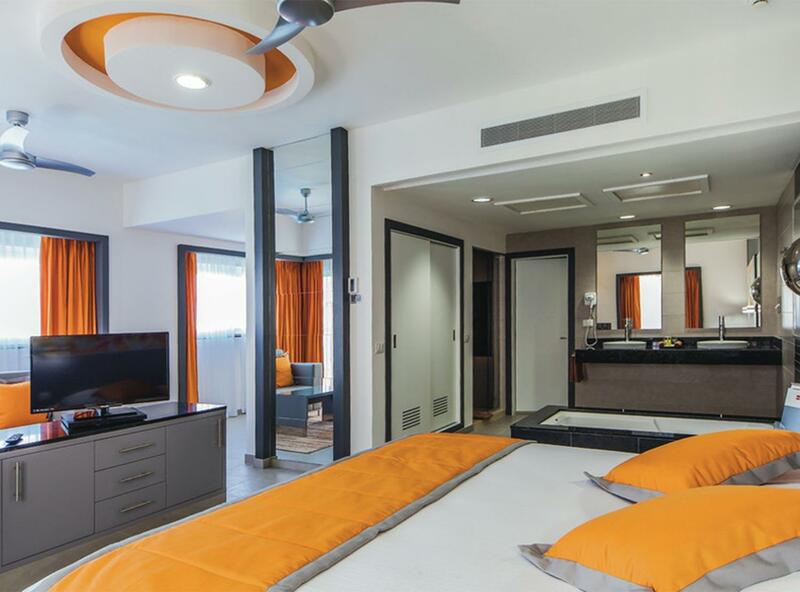 These guestrooms have been designed to offer all the comfort you need for an unforgettable stay. Enjoy wonderful views of the ocean from your private balcony and make the most of the convenient liquor dispenser. This spacious, well-lit suite has a living area with a sofa bed, a minibar, and a liquor dispenser, along with a flat screen TV, a bathroom with a double vanity, a shower, and a separate jetted tub, along with an ocean-view balcony or terrace.